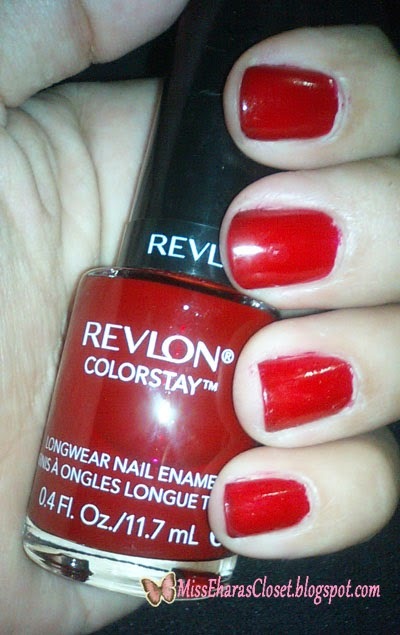 Today I wear nail polish from Revlon Colorstay #Velvet Rope. 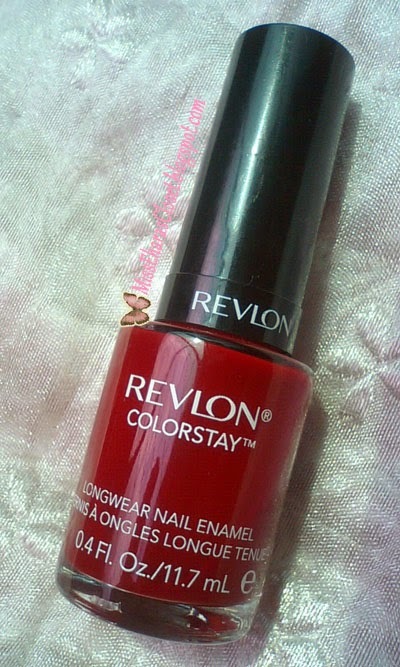 This nail polish looks to be a bright red in the photos, but it is actually a deeper, hmmm..more like a red wine color. What I dont like, the Velvet Rope color is a lil bit too dark for me. I know dark color makes my skin looks lighter, but I dont really like it. Because wearing dark red polish makes me looks like old lady, hahaha. Sooooo I only wear 1 coat, and the color result is like in the picture below! But if you love dark red color just apply 2-3 coat, and you will get red wine color! 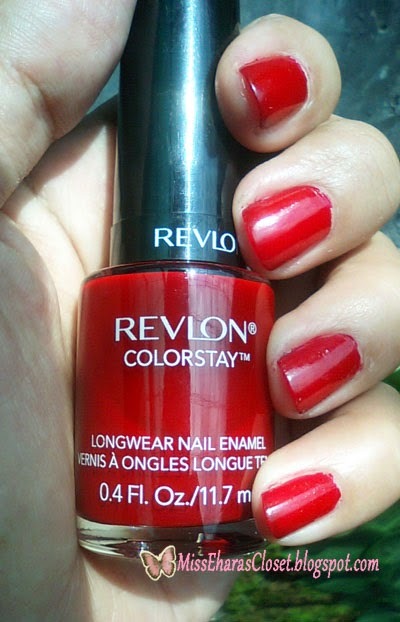 Do have Revlon nail polish? What is your favourite color?